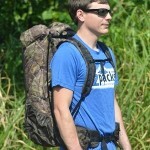 ZPacks “Arc” backpacks are made with our patent pending flexed Carbon Fiber frame. The frame effectively transfers weight to your hips and also creates an air gap against your back to keep it cool and cushioned. They are constructed of tough but ultralight Hybrid Cuben Fiber material with taped seams. 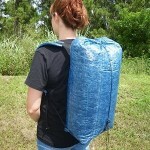 The Arc Blast is our most popular backpack. The Arc Zip is a variation with a zipper entry. 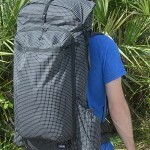 Dyneema X Gridstop fabric is popular among many mid-weight backpacks. This material is a bit stronger against abrasion, can handle more load stress, and may last longer than Hybrid Cuben Fiber. 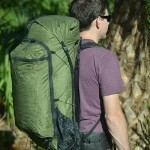 Our Arc Haul backpacks are designed with additional features that allow them to handle up to 40 lbs. 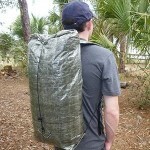 Our “Zero” backpacks start out as just a sack with straps, and you can choose the material and features you need. 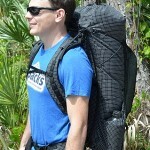 They are frameless backpacks best suited for loads under 20lbs.